Bitcoin is a form of virtual currency a.k.a. cryptocurrency, e-currency, or digital currency that has set the financial world ablaze in recent months. 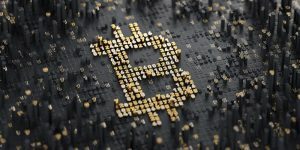 But as with any new and innovative item, cryptocurrencies create questions for everyone’s tax attorney regarding how cryptocurrencies are taxed. While Bitcoin was the first, it is certainly no longer the only cryptocurrency as the sheer number of different coins has recently exploded. Trading, investing, and receiving cryptocurrencies can create many pitfalls for the unwary taxpayer, and it is important to know how the IRS treats cryptocurrencies. Whenever cryptocurrencies are bought, sold, or traded there are tax implications. Naturally, the IRS has its say on tax treatment depending on how Bitcoins are held and used, and the IRS provides some helpful guidance in Notice 2014-21. Generally receiving payments in and trading cryptocurrencies require reporting or generate some other taxable event depending on the circumstance. Namely, if you are paid with a cryptocurrency you must report your earnings on a standard W-2 form. Record-keeping is key because each time you get paid you must convert the cryptocurrency value to U.S. dollars on the exact date you are paid, which will likely need to be reported on your tax return because income is generally always taxable. The same goes for self-employed individuals. Additionally, if you receive cryptocurrency as wages the wage amounts are subject to the exact same withholding requirements as being paid in cash. Long-Term Capital Gain: In 2017 you buy a $15,000 car with cryptocurrency that you purchased in 2015 for $100. This transaction represents a capital gain of $14,900 which will be taxed at 15% long-term capital gain tax rate. Short-Term Capital Gain: You have the exact same scenario as above except that you also purchased the cryptocurrency you are using in the transaction in 2017. Now your tax rate on the $14,900 gain will be close to 40%. What’s important to note is that you are required to keep track of every single purchase or trade you make with cryptocurrency during the year. This is because you must determine the amount of gain or loss on your purchase or trade by comparing what you bought they cryptocurrency for versus the value of the good or service received. Some people may be tempted to ignore their record keeping responsibilities. Be warned: for most cryptocurrencies every single transaction you make is stored permanently in their blockchain network, which one day can come back to bite you as the IRS could possibly access these records for verifying purposes if it feels compelled to. It is easy to see that many people are just now learning about how cryptocurrencies like Bitcoin work and there can be some confusion on the tax responsibilities that go along with this virtual currency. It certainly takes some time for people to adapt; however, that stance has never stopped the IRS’s enforcement abilities. If you are using Bitcoins in transactions, holding them as an investment, or receiving payments in this virtual currency there is some tax planning needed in order to keep the IRS’s ire at bay. Our attorneys at Dallo Law Group can help. Individuals who have hidden income could face taxes, potentially big civil penalties, and even end up in a criminal tax case. Do not let the situation get this far. Our attorneys at Dallo Law Group are knowledgeable in handling cryptocurrencies and know how to properly report them to taxing agencies. Do not wait until the IRS comes looking for you or until you receive an audit notice. We can help with corrective filings if something has been overlooked and before it is too late. Whether you are a casual cryptocurrency user or have a large investment in this virtual currency, give us a call at 619-795-8000 with any questions or concerns. As always, we offer a free initial consultation.